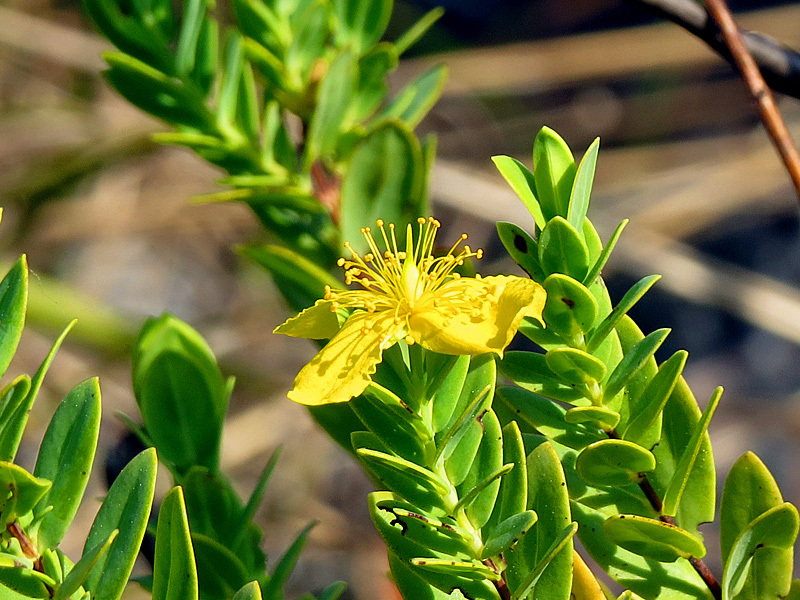 Florida is home to more than 30 species of Hypericum, many of which are called St. Johns wort. These plants are not the St. Johns wort common in commerce for the treatment of depression; That St. Johns wort (Hypericum perforatum) fails to thrive in Florida. 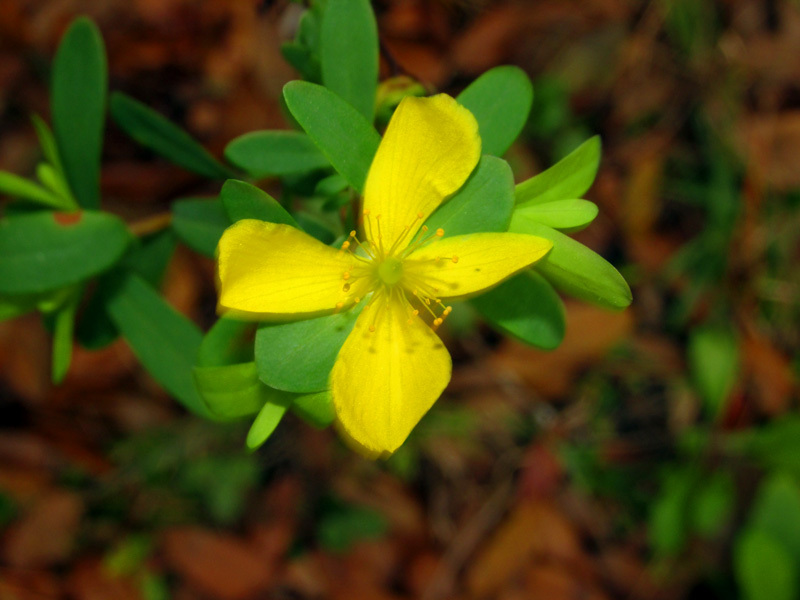 Florida has its own endemic or nearly endemic species of Hypericum. Pictured above is Edison’s St. Johns wort (Hypericum edisonianum), which grows only in a few counties mostly along the Lake Wales Ridge. Dr. Mark Deyrup pointed it out at Archbold Biological Station and shared that the species name honors Thomas Edison who had looked at this plant as a potential domestic source of rubber during World War 1. 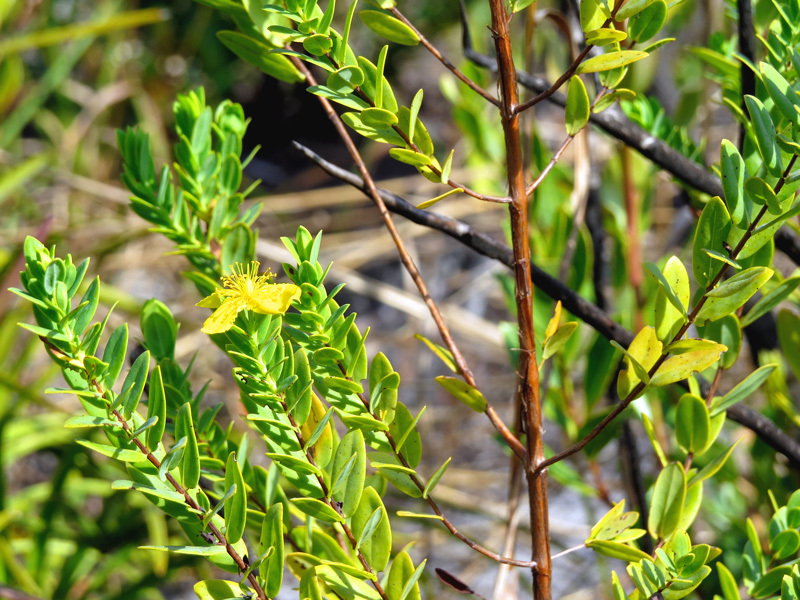 Also known as Arcadian St. Johns wort, this plant is listed as endangered by the state of Florida, is a candidate for federal endangered status, and is one of the plants pictured on Bob Montanaro’s blog. At south Oslo Riverfront Conservation Area just to the east of the trail entrance grows fourpetal hypericum (Hypericum tetrapetalum) pictured below. This plant of upland ecotones (transitional areas) is nearly endemic to Florida, occurring only in a few counties in southern Georgia. This plant prefers moist locations with partial shade, the conditions in which it grows at south ORCA.